Truly Better Than New is this beautiful and rare Victoria model home in Bedminster Hunt West. 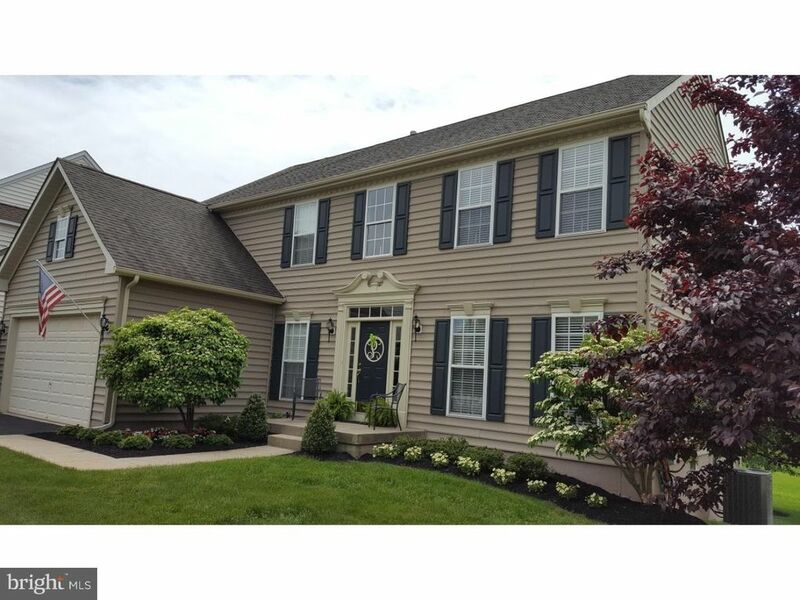 This immaculate colonial home offers 9' ceilings with transom windows, neutral paint, recessed lighting, 2 story foyer with a waterfall staircase, gas marble fireplace, and a large expanded laundry room with sink. The gourmet kitchen has 42 cherry cabinets, center island, granite counter tops, gas cook top, double self-cleaning ovens (one convection), stainless steel appliances, pantry and french doors that open onto a Trex deck overlooking open green space. There are hardwood floors in the foyer, kitchen and powder room. The master suite has a large bathroom with Jacuzzi soaking tub, double sinks, shower and walk in closet. The large walkout basement is plumbed for a full 4th bathroom and has sliding glass doors that open out to an EP Henry paver patio. There are many upgrades including a Generac generator, new top of the line Trane HVAC system, whole house water filter, newer hot water heater and water softener. Bedminster Hunt offers a tennis court, basketball court, walking trails and 6 playgrounds to enjoy. This home has been loved and well taken care of by the original owners. Make your appointment today!